This article covers testing of soil and grains 2 years after the Nuclear Incident in Fukushima, Japan. 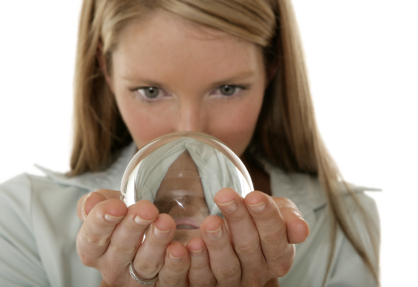 Dr. Melissa Burkley explains how science is trying to prove the existence of psychic phenomena. Van De Graaff generators are a common sight in many science laboratories and for many people it is a device that looks like a large metal ball on a pedestal and can make hair stand on its end literally. 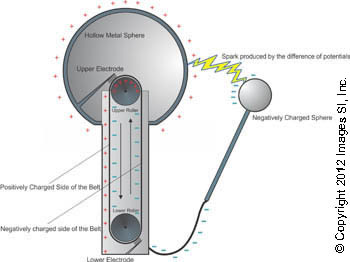 However, there is more to the Van De Graff generators than just deploying static charge. 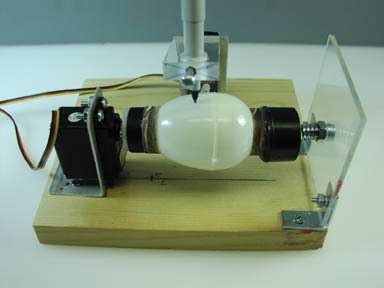 A Magnetohydrodynamic (MHD) generator produces electrical power. As in a conventional generator, it produces power by moving a conductor through a magnetic field. 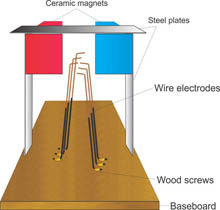 The moving conductor in a standard generator is a coil of copper wire. Unlike a standard electrical generator, the MHD contains no moving parts. In the MHD, the conductor is a fast moving hot plasma gas. 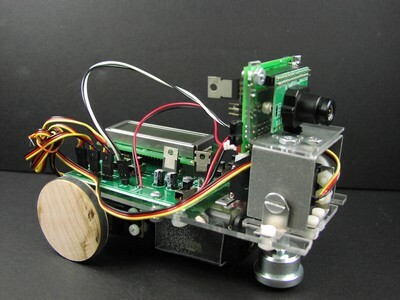 The C-Bot uses the artificial vision camera developed at the Carnegie Mellon University (CMU) to build a mobile object-tracking and following robot. The CMU camera captures a target placed in front of its lens. Our PIC microcontroller interrogates the camera to find the position of the target within the camera’s Field Of View (FOV). Using this information we can determine movement in the horizontally and vertically axis and if our target moves away or get closer to the camera as well. 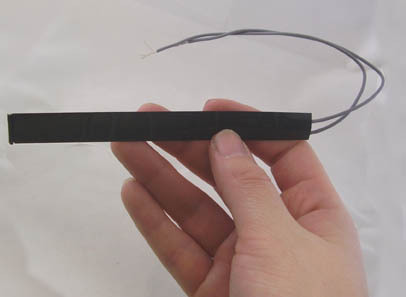 Flex sensors are passive resistive devices that can be used to detect bending or flexing. The flex sensor shown in this article is a bi-directional flex sensor that decreases its resistance in proportion to the amount it is bent in either direction. The sensor we are building is about 3/8" wide by 5" long. You can easily make a sensor wider and longer depending upon your application. Biofeedback is a technique that allows people to be aware of certain biological and physiological changes in their bodies as well as allow them to properly “respond” to such changes, and thus improve their health. Sphere-Bot™ is an egg marking and decorating robot, just in time for Easter. Sphere-Bot™ uses two standard HS-322 HiTec servomotors. The brains for Sphere-Bot™ is the USB-SMC-04 Servomotor controller. However, if you have a programmable servomotor controller that can control two HiTec hobby servomotors simultaneously, it probably can be used for the brains of Sphere-Bot™. 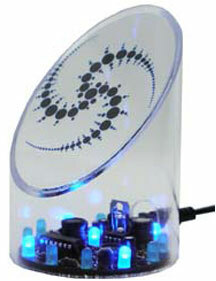 Graphic designs and/or text is programmed into Sphere-Bot™ using the GUI interface of the SMC-04 USB controller. X-10 is an international technology that provides an easy method of creating home automation. Marry this technology with a speech recognition circuit and the user can use verbal commands to activated electrical appliances and lights around the home or apartment. If this is of interest to you then read on. The X-10 Interface circuit will allow you to control up to 16 appliance control modules on any of the sixteen available X-10 house codes using the SR-07 speech recognition circuit. The Digital Geiger Counters may be used to measure and chart the radon decay of dust gathered from a standard television screen. Do UFO's; Unidentified Flying Objects exist? Of course they exist! UFO sightings are reported all over the globe by thousands of people. The real question is whether UFO's are interstellar vehicles visiting Earth? Most UFO sightings can be classified as misidentified aircraft, planets or other aerial phenomena, but not all of them. There is that small percentage of UFO reports that can't be explained by any known aircraft or natural phenomena. It is these reports that create an exciting possibility. UFO's can be debated intelligently on both sides of the fence. This article will not enter the debate. But if UFO's has ever aroused your curiosity you may be interested in building a UFO Detector from one of the kits we offer. Photograph on the left is our Transparent UFO detector. This article shows how to build a simple Curie effect magnetic heat engine. The heat engine uses a special high nickel content wire that has a low Curie temperature. 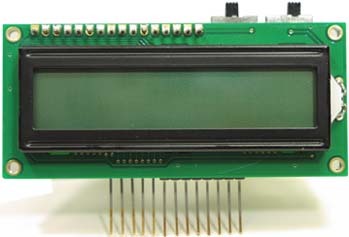 The LCD-01 and LCD-02 Serial LCD Modules combine a serial interface with a 2-line by 16 character LCD. The combination receives serial data at 300, 1200 or 2400 baud (true or inverted, switch selectable) and displays it on the LCD. An air muscle is a simple pneumatic device developed in the 1950's by J.L. McKibben. Like biological muscles, air muscles contract when activated. Robotists find it interesting that air muscles provide a reasonable working copy of biological muscles. So much so that researchers can use a human skeleton with air muscles attached to the skeleton at primary biological muscle locations to study biomechanics and low level neural properties of biological muscles. The low cost, ease of use and simple contruction allows it to be quickly adapted in robotics by experimentors and hobbyists. Holography - How to shoot 3D holographic images using a laser. Holography, like photography, produces an image on film. Holography captures the three complete dimensions of a scene, including its depth. Holography like photography can be a simple process. To make holograms you don't need to be or become an expert in lasers and optics. This article will show you the basics. You can purchase the minimum tools needed to build a simple and inexpensive holographic studio( laser, isolation table, optics, film and development chemistry) all for about $200.00. Superconductors are materials that demonstrate no resistance to the flow of electric current. That's zero electrical resistance. Therefore, an electric current initiated inside a perfect superconductor will not dissipate with time and will flow forever. Piezoelectric materials when squeezed generate electricity. 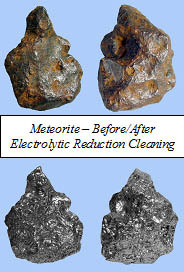 The electricity generated is in the form of a momentary charge (or voltage) when the material is initially stressed. The voltage "squeezed out" of piezo-electric materials is in proportion to the mechanical deformation (stress) placed on the material and the intrinistic characteristics of the material. If the force producing the mechanical deformation on the material is reversed, the polarity of the output voltage will also reverse. In this series of articles we discuss programming Microchip's PIC Microcontrollers using the PIC Basic Compiler, as well as programming the chips with the EPIC Programmer. The New Digital Meter Adapter is now a universal expansion module. It is a combination of the original Digital Meter Adapter, RS 232 interface adapter for PC & Random Number Generator Adapter. 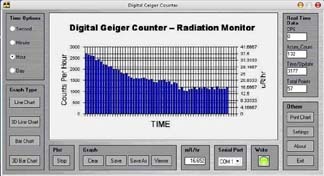 The new DMAD has all three functionalities in one module to enhance the capabilities of Geiger Counters. Geiger counters are instruments that can detect and measure radioactivity. With a Geiger counter you can check materials and environment for radioactivity. You could even go prospecting for uranium, if you desire. The Geiger counter may also be used to check for radon in your basement. This article details the construction and building of a stand alone programmable speech recognition circuit that may be interfaced to control just about anything electrical, such as; appliances, robots, test instruments, VCR's TV's, etc.. 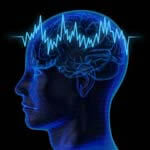 The circuit is trained (programed) to recognized words you want it to recognize. Nitinol is an alloy of nickel and titanium that belongs to a class of materials call shaped memory alloys (SMA). SMA's have interesting mechanical properties. Nitinol for example contracts when heated, which is the opposite of what standard metals do when heated (expand). Not only does the alloy contract, but also it produces a 100 times greater thermal movement (expansion, contraction) than standard metals. 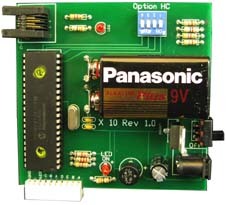 The navigation pc board may be used to make a visual, mobile robot, or a pc based digital compass. It uses the 1490 compass sensor which is a solid state hall effect device. It is sensitive enough to detect the Earth's weak magnetic field. When rotated it can display the position of the four cardinal points on a compass, North (N), South (S), East (E) and West (W). As well as the intermediate directions: North East (NE), North West (NW), South East (SE), and South West (SW). The 1525 Analog Compass requires regulated 5.00 volts DC input to output a DC ratiometric signal. The input should be "spike" and polarity protected if operated from a vehicular power supply. Power consumed is approximately 18 to 19 mils (0.018 to 0.019 amps) when using a 5.00 volt power supply. This is a two module project that can be built for about $129.90. The first module is a robotic arm kit. The second module is the IBM PC interface kit. Together these modules form a functional unit that permits you to experiment and program automation and animatronics into a fully "wired" control robotic arm. One also has the option to control the arm interactively using the either a manual controller or the WIN95/98 program. This experiment illustrates a possible method of reducing the power needed to grow plants on board spacecraft. The hypothesis is based on the idea that a plant's photosynthesis cycle may not require continuous light, (100% on) to achieve optimum growth. If this is hypothesis is correct, it becomes reasonable to assume that a strobe light, (a light which turns on and off rapidly) may be used to grow plants effectively while saving electrical power. Servomotors are basiclly geared down dc motors with positional feedback control, allowing for accurate positioning of the rotor, with a range of 90 degrees. In this article we will control servo motors via a PIC Microcontroller. Morphing is a standard special effect in many Hollywood productions. Using these software packages you will be able to add these special effects to your own computer movie files, home video productions and multimedia projects. 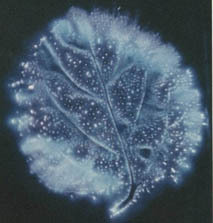 Kirlian photography is a high voltage, contact print photography. The process is simple. In this article, we will create a kirlian device using inexpensive parts to produce quality prints. The solar engine is an on board power plant for BEAM type robots, sometimes called living robots. The circuit is simple in function. The solar cell charges the capacitor, until a predetermined voltage is reached, where the trigger circuit dumps the stored electrical power from the main capacitor through the main load (a high efficiency motor). The cycle then repeats. How to construct a solar ball, how a solar ball works and the materials involved in making a Solar Ball. A detailed history of photovoltaic cells and photovoltaic development. As well as a description of how the phoyovoltaic process works, the materials used in production of the solar cells and their properties.